The Evangelist Matthew by Lucas Cranach the Elder, ca. 1534. 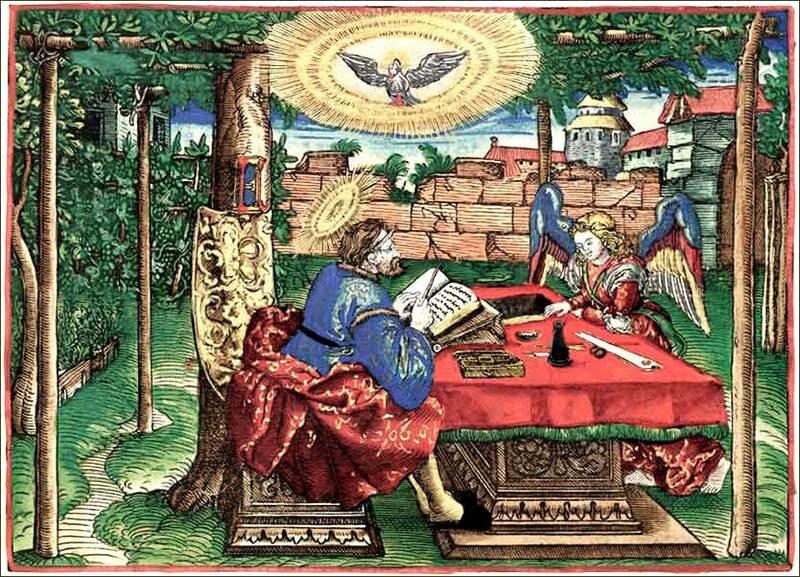 This woodcut is one of Cranach's illustrations for Martin Luther's first Bible. Jessy Dixon does this old country Gospel number proud, backed up by Guy Penrod and David Phelps. Look upon me, O Lord, and let all the darkness of my soul vanish before the beams of thy brightness. Fill me with holy love, and open to me the treasures of thy wisdom. All my desire is known unto thee; therefore perfect what thou hast begun, and what thy Spirit has awakened me to ask in prayer. I seek thy face. Turn thy face unto me and show me thy glory. Then shall my longing be satisfied, and my peace shall be perfect. by Augustine of Hippo, ca. 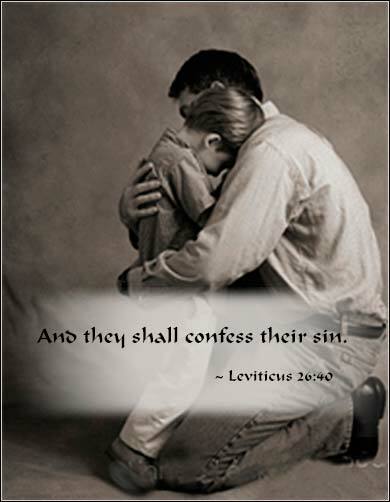 394 A.D.
Then Jesus reprimanded the evil spirit and it went out of the boy, who was cured from that moment. Note: The sentence in brackets at the end of the passage is included in some texts of Matthew but not others. Scholars argue over whether it is original to the Gospel of Matthew. Way back in Chapter 10, when Jesus first sent the apostles out on the road, in pairs, to preach the gospel, He gave them the authority to case out demons and heal. Now, we discover that their power is not co-extensive with that of Christ, because their faith is not perfect. We will see this repeatedly until the end of Matthew and the other three Gospels, as well. Most notably, we know that Peter — the most advanced of the twelve — will both attempt to defend Christ with a sword, and then deny Him three times on the night of His arrest. In fact, the apostles will not become complete in their faith until a much later time, after Christ has left earth: The coming of the Holy Spirit at Pentecost. It is not so simple a matter as a person not generating sufficient faith in himself, for the perfection of faith must come from God, in the indwelling of the Holy Spirit. The apostles will, after receiving the full gift of the Spirit, be able to heal and cast out demons. The Book of Acts of the Apostles is filled with accounts of signs and wonders performed by Peter and others. Jesus explains our problem in today's Scripture. We do not see true miracles from the church today, because our faith is insufficient. We need only look at the faith and the power of the Holy Spirit in the early church, and compare it to our own, to see it. In the church of the first two or three centuries, faith in Christ was absolute. Stephen, the first martyr, fell to his knees as he was being bashed to death with stones, looked to heaven, and asked God to forgive the people murdering him. (Acts 7:54-60.) He was not, mind you, one of the apostles, not a person who ever himself worked a miracle; the faith of the “clergy” at the time, who were the apostles, was a magnitude greater. The greatest of our faithful living today has less of the Holy Spirit than the least of the first church. Mother Theresa, world famous for her charity and life of dedicated service, admitted to the torture she felt at her lapses in faith; at times, she could not even bring herself to pray. So, we should not look for miracles; we should look to our own growth in the Holy Spirit. The process of coming to God is not one of guilt and pain, but simply finding the Spirit in prayer and study, and letting Him do his work in us! Repentance and remorse are very different things. Remorse is painful; Repentance is pain-relieving. Christians are not driven; we are called. So let us turn our hearts to God this year, letting go of the world of power politics and money and self-aggrandizement, and answering the call of faith and love and humility. The Holy Spirit wants to have a full relationship with us.